Welcome to our gallery of the best kidney shaped pool designs featuring a wide range of pool styles. Kidney shaped pools are great additions to any home’s landscaping or garden. Utilizing not only the interior potential but also the exterior or outdoor spaces of a lot greatly enhances the aesthetic and real estate value of any house. The middle of the twentieth century saw an industry-changing innovation with private home swimming pools – the kidney-shaped swimming pool. We are all familiar with that curvilinear, inward angular pool shape, but the history of its conception is quite an interesting back story. 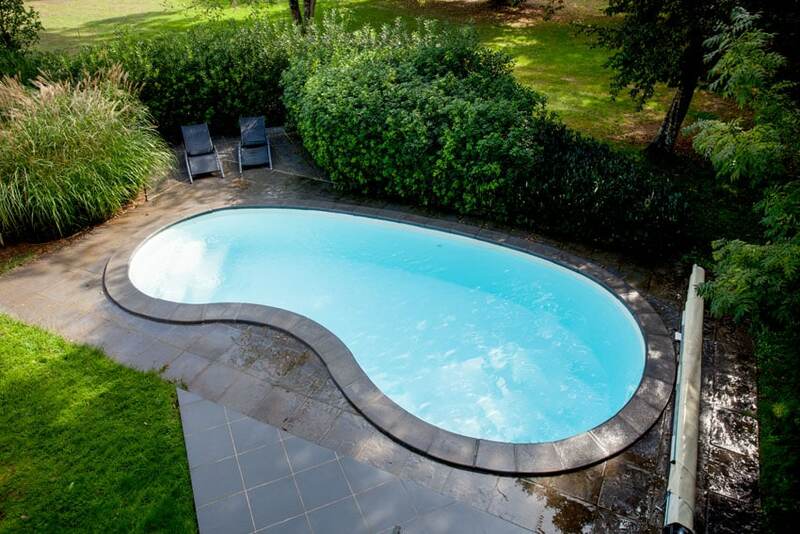 Back in the mid-1900’s, famous landscape architect Thomas Church – an old acquaintance and colleague of Finnish architect Alvar Aalto – pioneered the use of the very first kidney-shaped pools. At the time, most private pools came in rectilinear arrangements. It was employed for house designs due to its simplicity and straight-forward swimming experience. This was also considered convention based on the prevalent design styles of landscapes and home gardens at the time. The term and style “Mid-century Modern” is named so after the prevalence of modernism in interior and exterior architectural forms during the middle of the 20th century. Landscape architecture had not quite caught up and was still using the Neoclassical style as its predominant design aesthetic. In came Thomas Church, shaking up the literal and figurative landscape of the design industry by introducing modernism into the world of garden and landscape architecture. He emphasized form, movement, and a lack of adherence to the typical single-axis viewpoint designs of then-contemporary garden works. The first kidney-shaped pool using Church’s modernist design ideologies was the one commissioned by the Donnell family for the modern home in Sonoma, California in 1948. Thomas Church decided that instead of going for a rectilinear pool, this would be a good time to employ a freeform swimming pool shape to go with the family’s modern house architecture. It was an undisputed hit with design critics and homeowners at the time, and was featured in many a home and design literature. 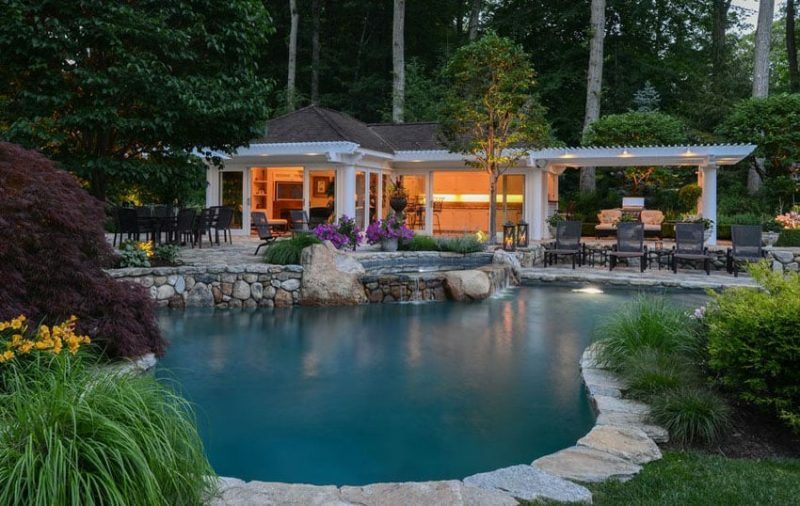 More than 60 years from then and the freeform, kidney shaped pool design started by Thomas Church is still being used in contemporary home landscape designs. Kidney shaped pools are design staples for almost any designer house that has might choose to utilize outdoor private pools to enhance their home’s exterior spaces. 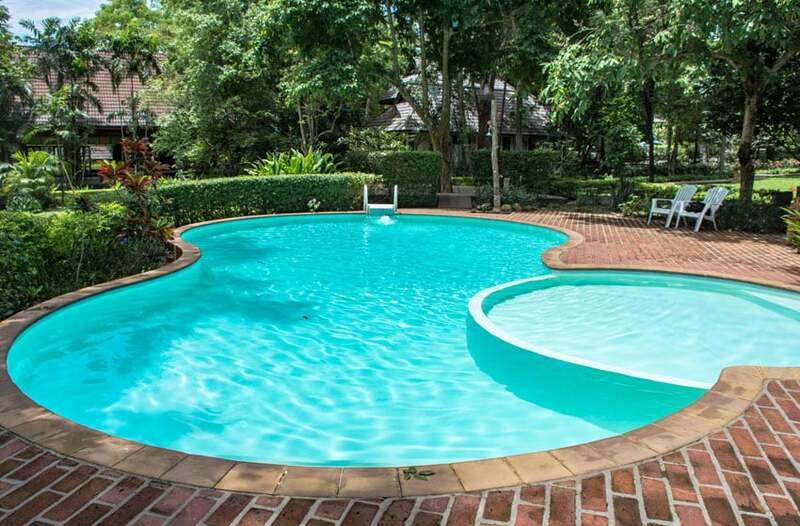 In shape, the kidney-shaped pool is similar to a long oval or ellipse with a nick on one of its sides. The niche is often used to house a spa, some landscape greenery, or a poolside lounge area. 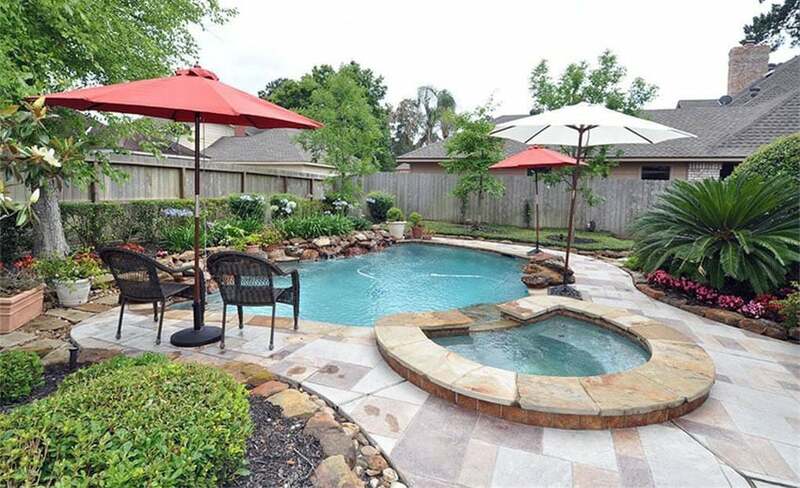 Kidney-shaped pools are amazingly conducive to almost all kinds of yard spaces, and its curved lines make it look more inviting and natural than rectilinear pools. The clear delineation between the two sides of the pool also makes it easier to more naturally place a shallow end on one side and a deep end on the other. In terms of specific dimensions, kidney shaped pools can come in as many size variations as you would need, its design resting mostly on the specific needs of the client as well as the physical limitations of a yard. 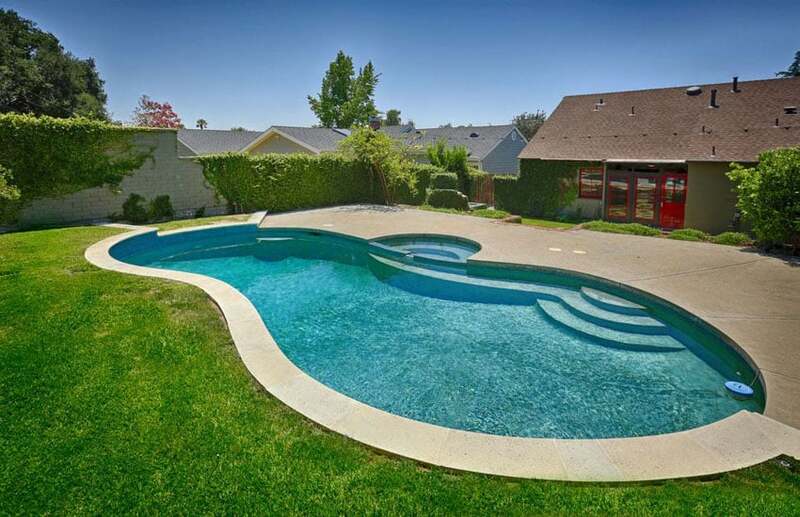 On the small-end, you can find kidney shaped pools 10 feet by 20 feet large. These types of pools are more suitable if economy of space is a priority. So typically, you’ll be seeing small dips like this in townhouses with particularly small backyards. On the opposite end of the spectrum, we have larger pools that could go as big as 16 feet by 32 feet, as well. This is particularly popular for most large estates and can effectively be used for swimming laps or large pool parties. On average, most families, especially ones with younger kids, opt for pools around 16 feet by 26 feet in size. This is a reasonably big addition to backyards but not so large that it might pose to be a hazard to the younger members of the family. 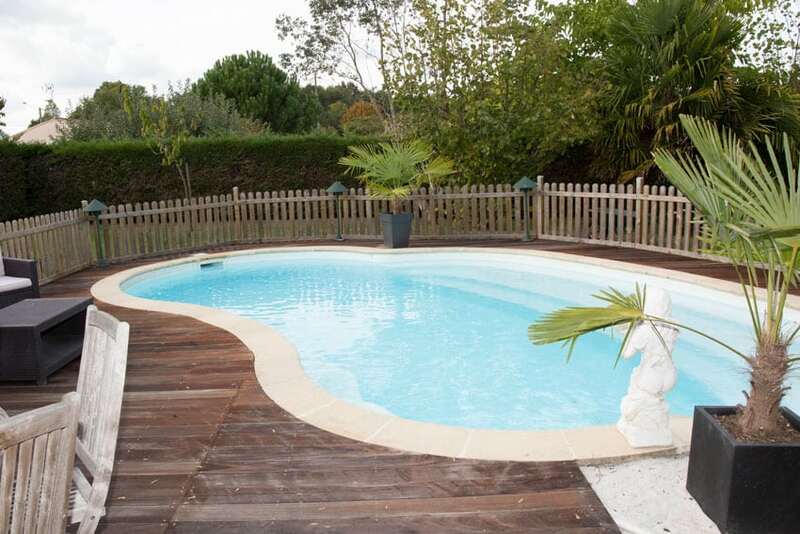 Depth is also a consideration in choosing the specific dimensions of a kidney-shaped swimming pool. 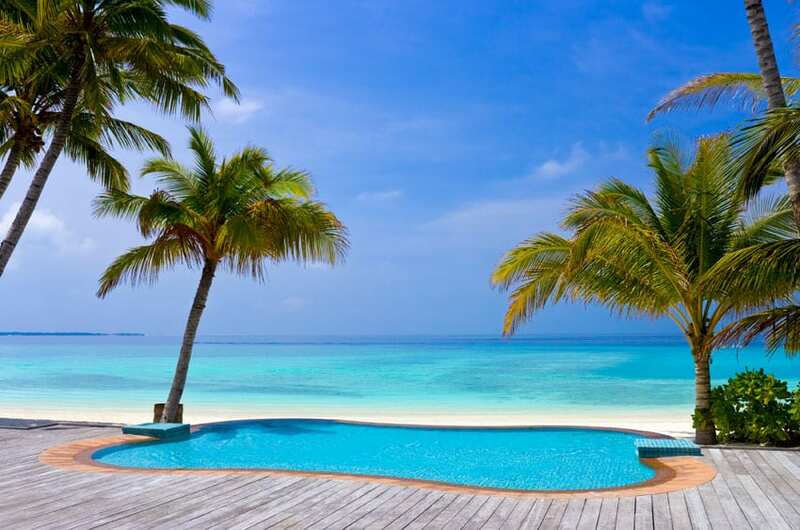 Again, the biggest factor for determining the best pool depths for a home would be the specific wants and needs of the clients as well as site factors. Depths will vary between 3 feet for shallow parts of the pool and 5 and a half feet for deeper ends. For some clients, 6 feet would work even better for the deep ends. 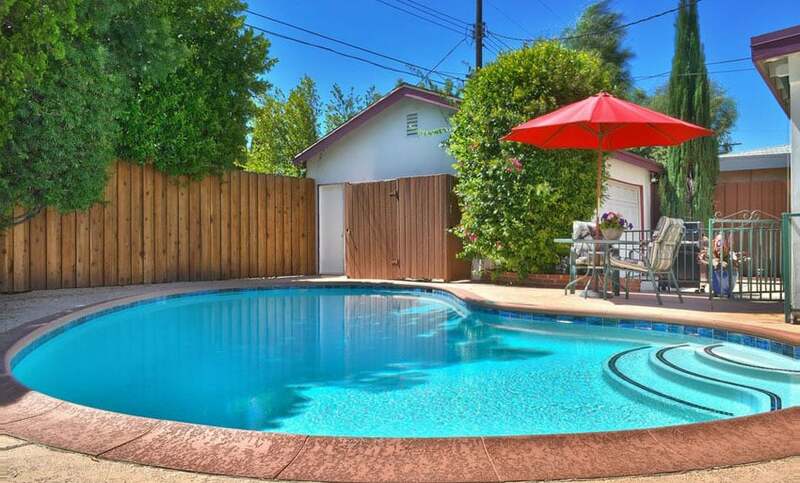 Deeper ends of certain kidney shaped pools will necessitate the use of pool rails and sometimes, proximity fences to keep out younger children that might be wandering around. Kidney shaped pools typically have a shallow end and a deep end making them fun for young children and adults alike. 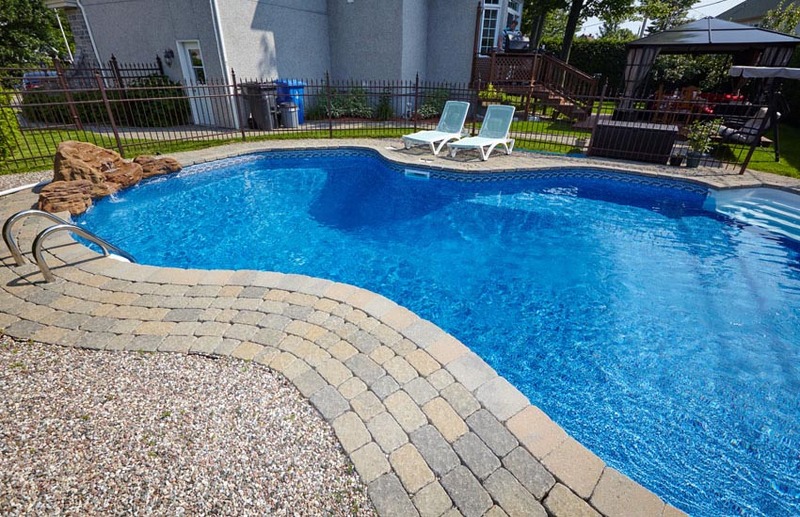 As with any type of major construction, kidney shaped pool prices will vary based on the type of materials and layout one would choose for the pool. Compared to rectilinear or simpler designs of pools, kidney shaped pools have a very slightly higher price, not including any extravagant features a client might want to add such as waterfalls, pool islands, or built-in fountains. For pool types, above-ground pool types are the least expensive and most quickly installed type of pool. With in-ground types, the most affordable would have to be vinyl pools and the most cost-demanding would be gunite or reinforced concrete pools. Another factor to consider would have to be regional variations on cost. For parts of the country more prone to have higher water tables, more permeable soil conditions, or having more aquifers, digging conditions will be significantly more difficult. As such, environmental factors will affect labor and construction costs quite noticeably. Additionally, more tropical regions in the Southern part of the country would be less susceptible to the winter seasons. With larger construction windows in the year, labor costs will also be less. Seasonal and climatic conditions affect pool construction quite significantly considering the outdoor nature inherent in landscaping projects like this one. Talking specific numbers, an average 12 foot by 24 foot concrete kidney shaped pool will set you back about $72 per square foot, or a total of $20,736. Most pools nowadays will require extra installations depending on a number of different factors. Taking into consideration extra costs, these pools will be at $103 per square foot. This is assuming the labor of a five man crew at two weeks of uninterrupted work. Be mindful of ancillary costs that might affect the budget of the project, such as permit fees or relevant taxes, special needed use of pumps, and specific fencing requirements. Consult your installer or supplier for custom features that will suit your needs. Typical inground pools will be made of one of three major materials: gunite, fiberglass, and vinyl. Gunite is the most expensive of the bunch, but also extremely durable and highly versatile. Gunite is a way of construction that utilizes “sprayed on” concrete mixes with underlying steel reinforcement bars for structural integrity. Using gunite, pool designs can be as wild as one’s imagination. And, considering the durability of the material, it will last a lifetime. Fiberglass is the mid-ranged priced option of the three. Fiberglass is a very light yet strong material, and it has a great smoothed finish that makes it resistant to any algae buildup in the pool. 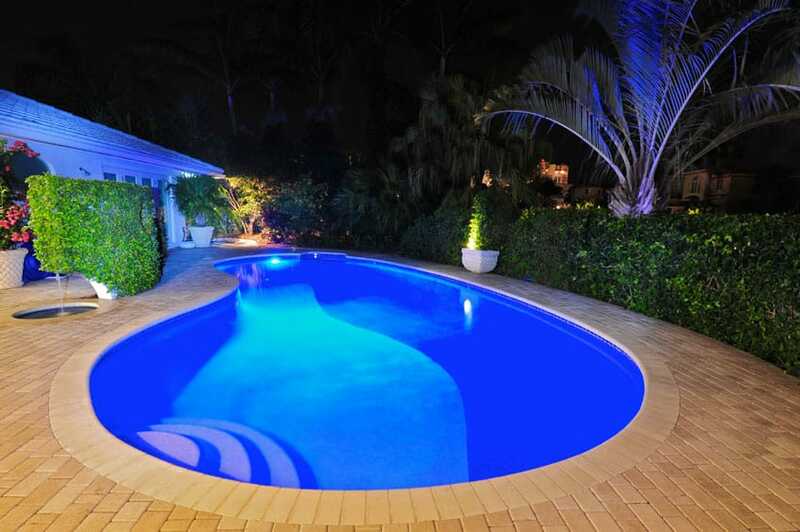 Another big advantage of fiberglass pools are their incredibly short installation times. Vinyl-lined pools are the most affordable of the three. 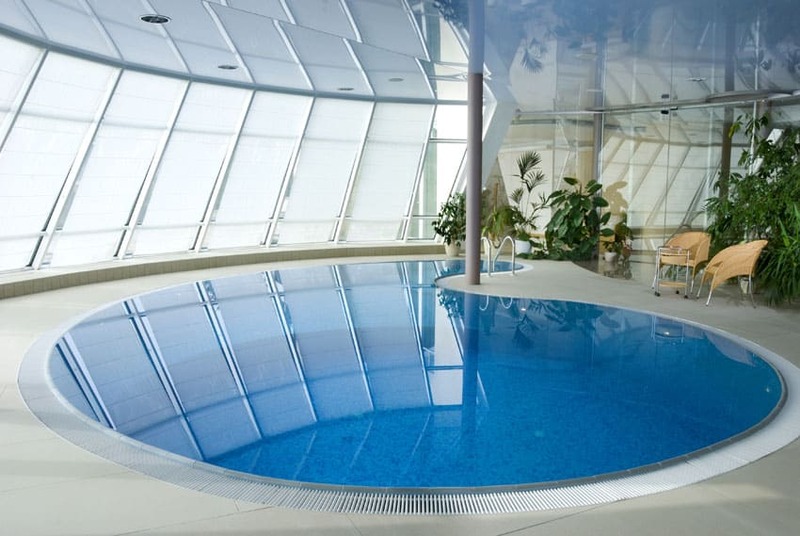 As the name implies, a continuous sheet of vinyl is applied at the topmost surface of the pool lining and is the sole separator of the pool water and the underlying sand and mortar bedding underneath. Vinyl pools are flexible, less prone to cracks or crazes, and comes in a variety of colors and graphic patterns. Using stone or slate tiles need not be limited to the walking space around the pool, you could also use the same tiles to line the lip of the kidney shaped pool for aesthetic and functional value. 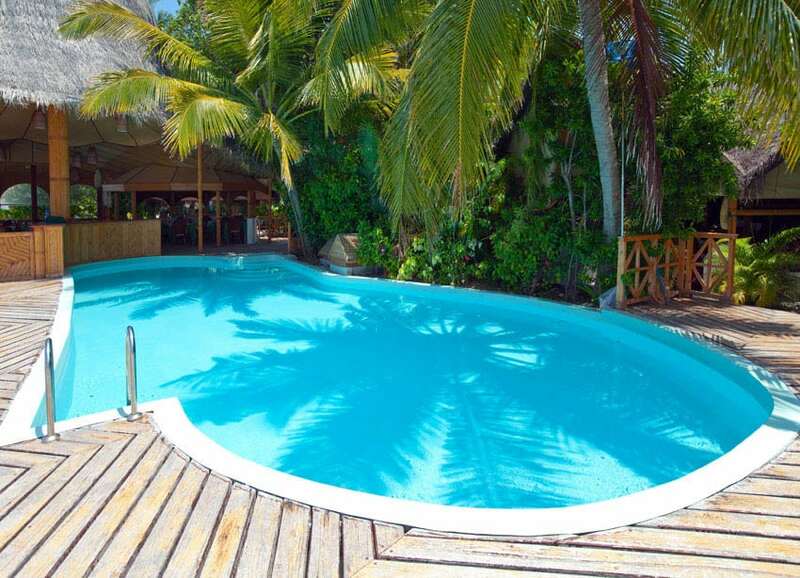 Freeform and kidney shaped pools are perfect lounge areas for tropical areas and beach-side back yards. 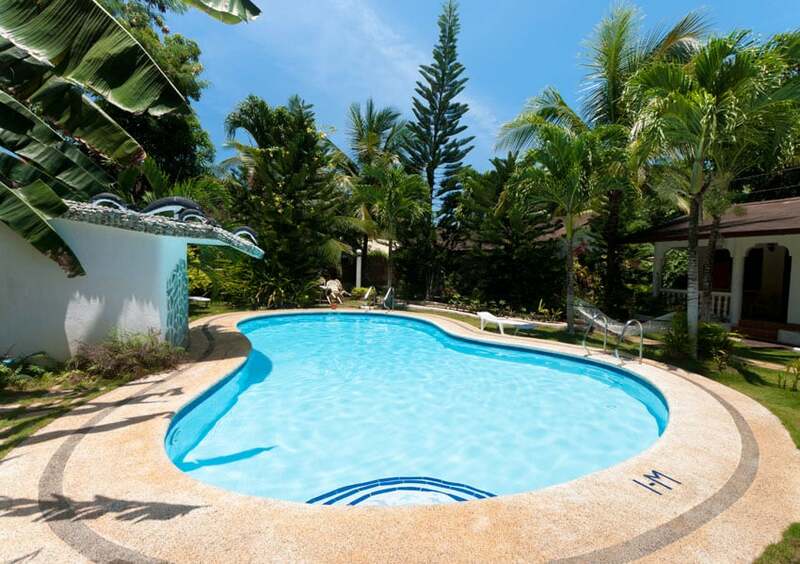 Great views and such close proximity to the warm sandy expanse of the beach only serves to enhance your experience in the kidney shaped pool. 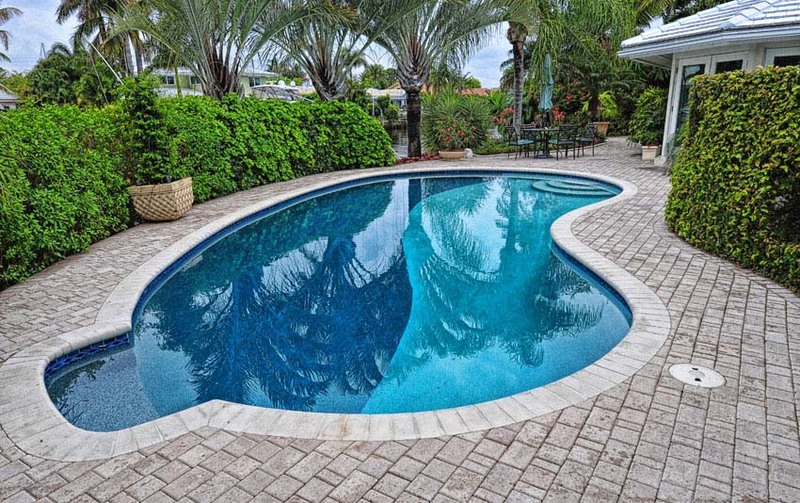 Mosaic tile pool finishes are great for more modern, sleek kidney shaped pools. They go especially well with white or light colored facades such as the ones on the exterior walls and floors of this example. Indoor pool setups such as this one use the unique shape of kidney shaped pool to accommodate some design necessities. The pool niche here, for example, is used to give space to the round column at the middle of the room. 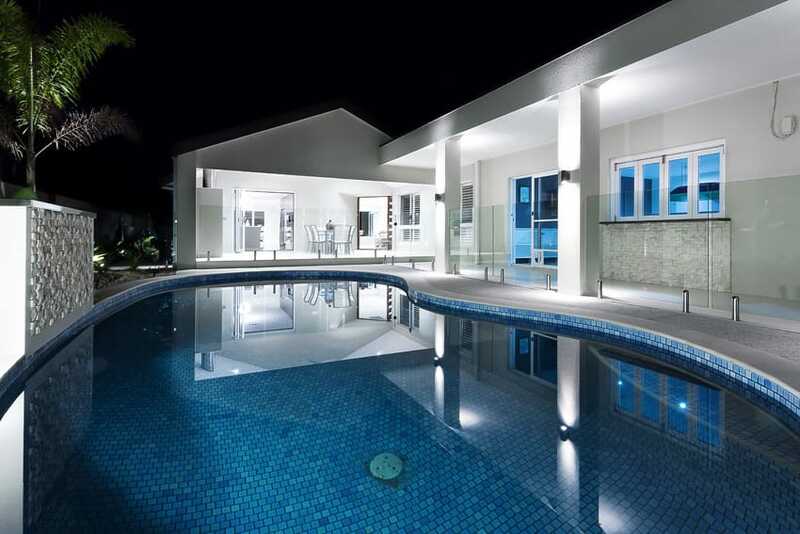 Lighting design can greatly enhance most pool setups. 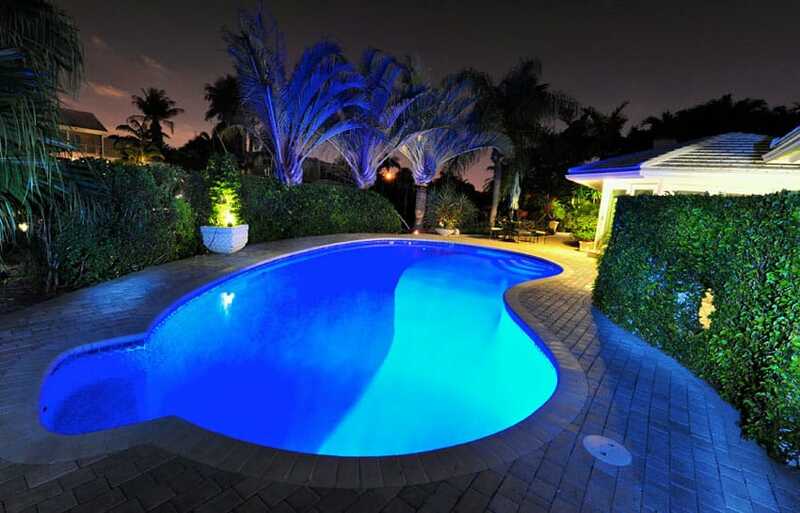 The use of bright cool lighting will turn your pool into a eerily beautiful source of outdoor light at night. Pool lighting also serves a functional use of giving visibility to the depths of the pool. 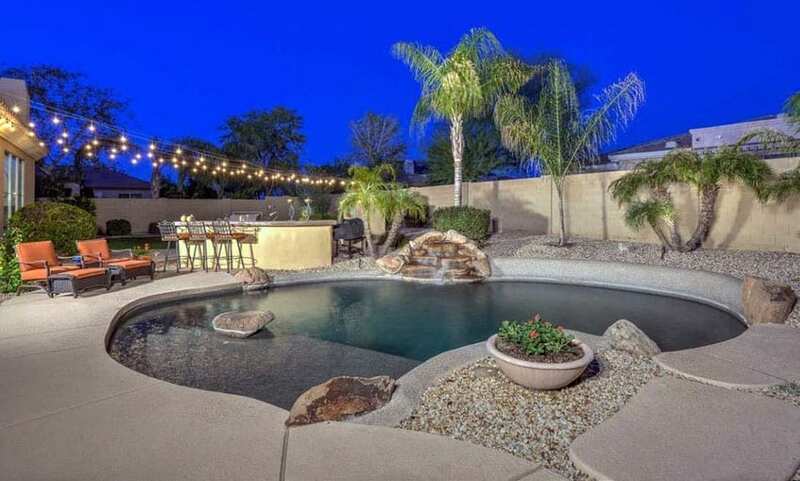 This is perfect for any nighttime pool parties that homeowners might want to throw. Softscapes and greeneries are perfect combinations for freeform backyard pools. Locating trees in close proximity to pools gives you some needed poolside shade as well as places to hang comfy lounge hammocks for lazy afternoons. Small niches can be cut into the edges of kidney shaped pools for a small wading space, a quick relief from the deeper ends of the pool, or just as a nice little lounge area. Subdividing large pools into smaller areas can make it so that one can utilize the shallower, smaller portion for children or for some light wading. It is not uncommon to see irregularly shaped kidney shaped pools integrated into bar or restaurant setups such as this one. Social events with tropical or Mediterranean themes will often be hosted in poolside venues such as this. Having small spa setups are also quite common with most home backyard kidney shaped pools. 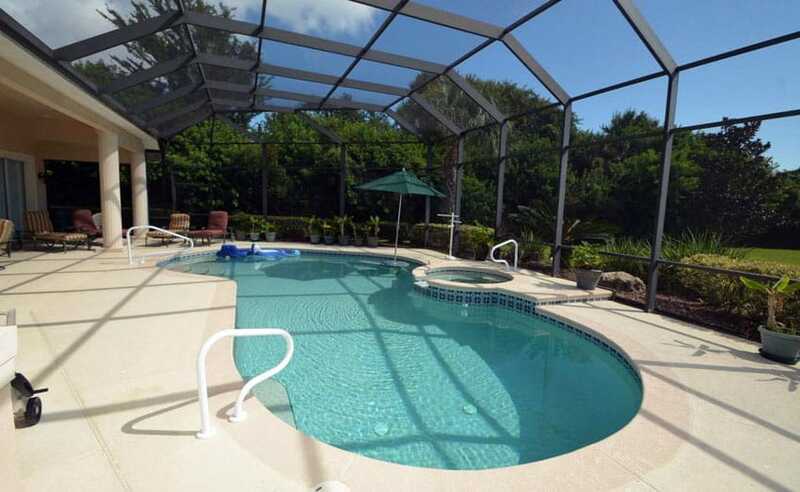 This is perfect for homeowners looking for a relaxing hot dip and not for a full-fledged swim in the pool. Hot tubs and spas need not be integrated full into the pool setup. In this example, the spa is located directly adjacent and within the niche of the kidney shaped pool but is on a higher level and a completely isolated water enclosure. For homeowners liking the exposure to the sun but not necessarily to the elements, private pools can also be located in fully-enclosed glazed outdoor spaces with large glass panels for roofs and walls. Here is a more clear-cut example of a freeform swimming pool with a fully separate yet systematically related spa area right next to the pool proper. There is also a large lounge area with pool-side benches and tables. For the more creatively inclined designers and homeowners, kidney shaped pools can also have integrate rock and water features that add decorative and functional value to the pool. Built-in slides and rock waterfalls are perfect examples of this. 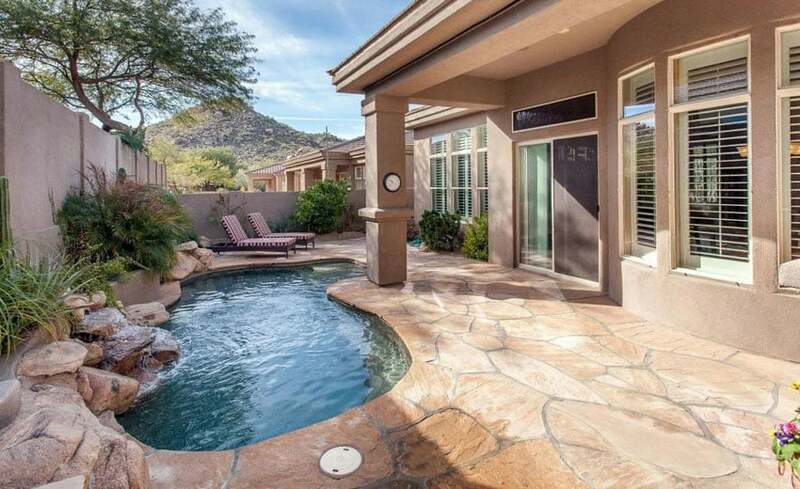 Dry, arid climates can benefit greatly from backyard pools. Not only does it give homeowners a place to cool off from hot, desert days, it also acts as a nice passive cooling system that insulates heat and keeps the surrounding just a little bit more humid. 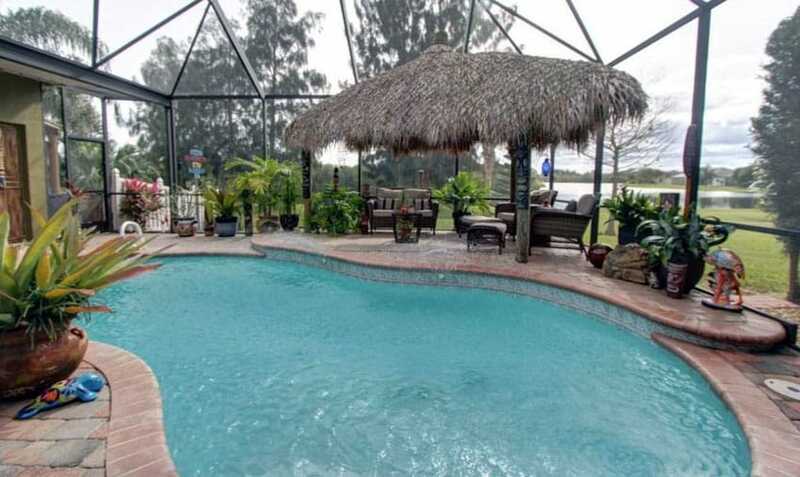 Integrating thatch gazebos and other exotic themed furniture goes extremely well with most kidney shaped pool setups. Smaller pools are a popular choice for families or homeowners less inclined to using their private pool as a way to practice swimming laps, and more as a lounge or relaxation area. These are perfect for smaller yards and places where space economy would be paramount. Small kidney shaped pools are frequently used in smaller backyards because their shape makes them favorable for any size of space. The design of a kidney shaped pool also allows for natural looking landscaping which is preferable in a small backyard. For limited space and with the presence of large structural columns, smaller kidney shaped pools such as this one are life-savers. Size need not be a limitation for kidney shaped pools. Even on the lower-end of the size spectrum, one can opt for the more luxurious pool additions such as integrated spa areas. Sometimes, smaller pool areas makes it easier to utilize natural sun shading such as surrounding shrubs or trees. Keeping pool enclosures short with view that are not obstructed help make smaller outdoor pools feel more open and less constricted. The addition of quaint lighting systems, tasteful poolside furniture, and nice poolside bars really serves to enhance any and all kidney shaped pool setups.